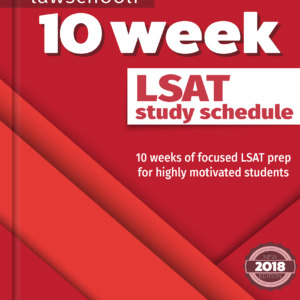 You are at:Home»LSAT»Am I Setting A Realistic Target Score On The LSAT? Everyone starts out wanting a 170 or better. Will you be able to achieve it? 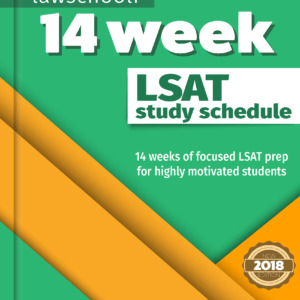 In this post we discuss whether you are setting realistic goals for your LSAT score, and take a no-holds-barred look at the potential to improve on this test. If you are shooting for a top score, the first thing to realize is that the odds are stacked against any given individual. About 2.5% of test takers on a given administration of a test are going to get a 170 score or better, so for every thousand people taking the test, only around 25 people are going to hit that mark. Only around 10 of those will have a 173 or better, and only 2 or 3 will hit a 177 or better. When you visualize it like that, it becomes pretty clear that 170+ scorers are an elite bunch. Of course, when you start out everyone should be aiming high, but how high? Josh and I vary a little bit on this. Josh says you might as well aim for the rafters and start out targeting a 170+ LSAT score like he did… that way even if you fall short of your goal, you’ll still have an impressive score. I say aim for a 166 (a score that can potentially get you into a T14 school) and be pleasantly surprised if it starts to look like you can get past that mark. When you start out, however, you’ll really have absolutely no idea where you are are going to land score-wise. Your cold diagnostic (a test you take with no preparation to give yourself a baseline) tells you next to nothing about how you will score. Thus picking a target score to start out is just going to be arbitrary. Selecting a realistic target score is something you can do only after you have done a considerable amount of prep. 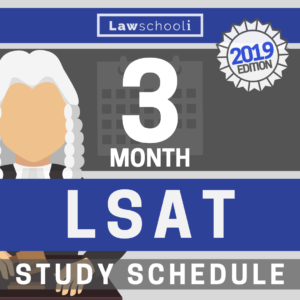 In order to have some idea where you can expect to land on test day, you have to first learn how the LSAT works and how to approach each question type. You can accomplished this with LSAT prep books or a quality LSAT prep course. (We have the most in-depth course on the market, and because it is brand new, it is also currently the cheapest). Once you are done with learning techniques and strategy, it’s time to start practicing under timed conditions. Many diligent students see rapid improvement throughout the learning phase and into the first few weeks of timed prep. It is then that typically you hit what people refer to as the “plateau”, where progress becomes much slower. It is at this plateau that you finally get a realistic idea of where you can expect to score. Say you are plateauing around 166 after about month of timed prep. From that plateau, some people won’t improve, a lot will improve two to five points or so, and a smaller cohort will see improvement of more than five points. Thus when you have plateaued around 166, you can probably set a realistic target in the high 160s/low 170s, and if you are daring to dream you might get to mid or even high 170s. So to give you a dose of realism here: if you have done significant prep and timed practice and still find yourself in the 150s, a 170s score is very unlikely to happen down the road. That isn’t that it is not possible, but the chances are small. If, on the other hand, you want to improve five points from your initial plateau, grit, determination, and using the right study resources will give you an excellent shot at getting there. Next Article In Law School Admissions, What Is A Splitter? What Is A Reverse-splitter?